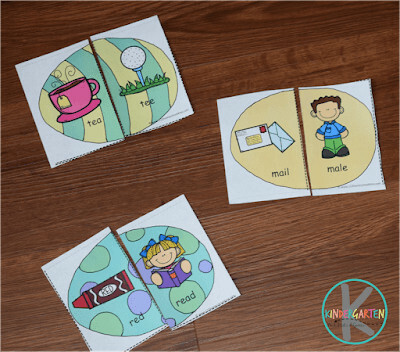 Make learning about homophones fun for first grade, 2nd grade, and 3rd grade kids with this FREE Easter Egg Homophones Games! Not only is it a fun hands-on literacy activity that offers a great visual of the concept, but it is self checking too! We love educational activities that make learning fun! The concept of homophones can seem daunting – I mean it is a big word! But once gets dig in with this fun, hands-on literacy activity they will understand homophone words in no time. Simply print the pages in color on cardstock or laminate for durability. Then cut along the dotted lines to make your puzzles. 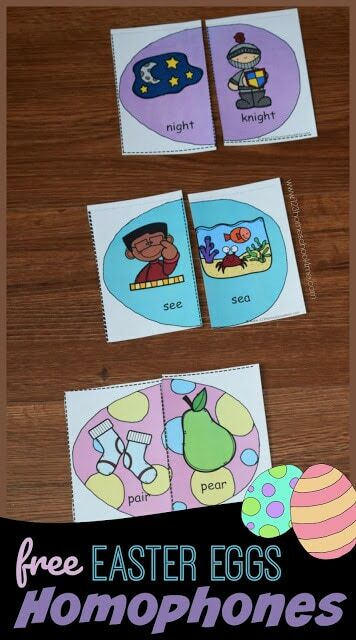 It is such a LOW PREP Easter learning activity for first grade, 2nd grade, and 3rd grade students! Students will match the two homophones words to make a complete egg. 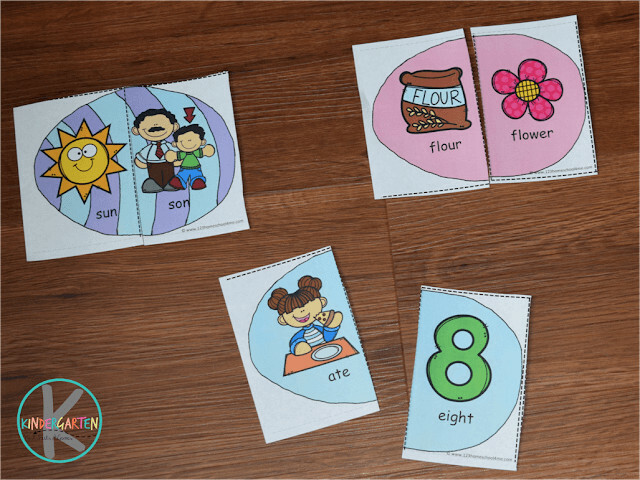 They include both the written word and a picture to help young learners learn best. This way they can visualize what a homophone means! Plus, these are self checking!